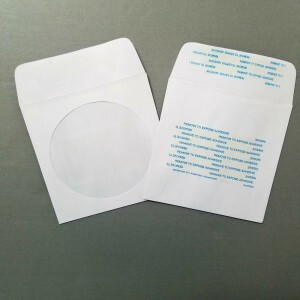 Mountable Envelopes, Bind-in & Disc Buttons are used to enclose CDs and DVDs in magazines, books, folders, and other printed media. Mountable Envelopes allow CDs and DVDs to be securely mounted into books, catalogs, magazines, instructional manuals, or other printed media. They are also the ideal solution for registration cards, samples, flyers, warranty information, and any other loose item. Our mountable envelopes are available in a variety of sizes and features and are used by publishing companies, replicators, and fulfillment centers. Bind-In Envelopes allow CDs and DVDs to be securely bound into books, catalogs, magazines, flyers, instructional manuals, or other printed media.They are also the ideal solution for registration cards, samples, flyers, warranty information, and any other loose item. Our Bind-In Envelopes are available in a variety of Styles, sizes and features and are used by publishing companies, replicators, and fulfillment centers. 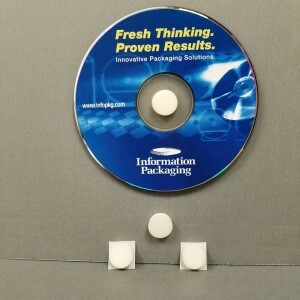 Disc Buttons offer an easy way to attach a CD or DVD to almost any material with no damage to the disc. The adhesive side of the button will stick to a variety of materials, then the CD or DVD snaps into place on the button. Disc buttons allow discs to be attached, removed, and then re-attached for multiple use. Disc buttons are available as plastic hubs or foam buttons.